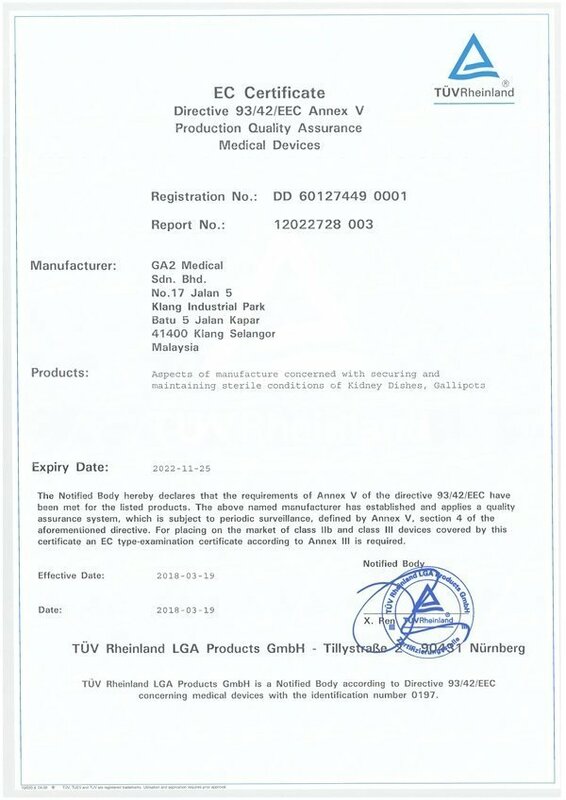 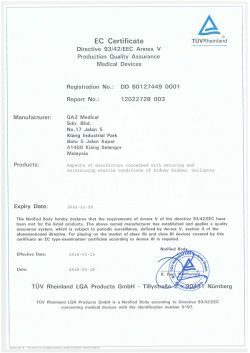 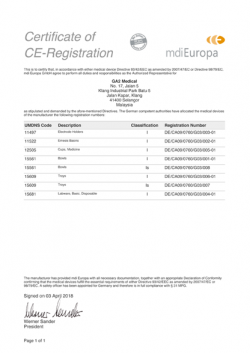 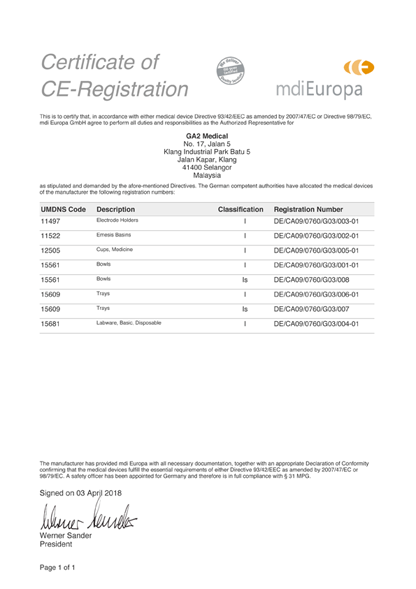 In Malaysia, medical devices are regulated by the Medical Device Authority (MDA) of the Ministry of Health. 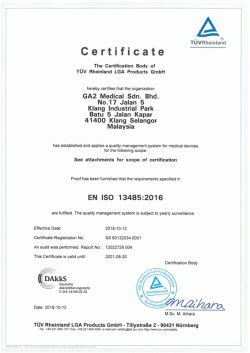 The regulatory framework is based on the Medical Device Act 2012 (Act 737) and Medical Device Regulations 2012 and closely follows GHTF guidelines. 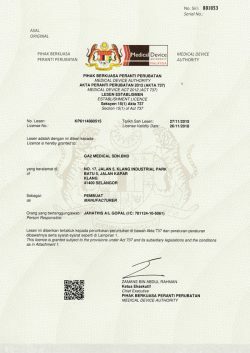 The legislation came into effect on July 1, 2013. 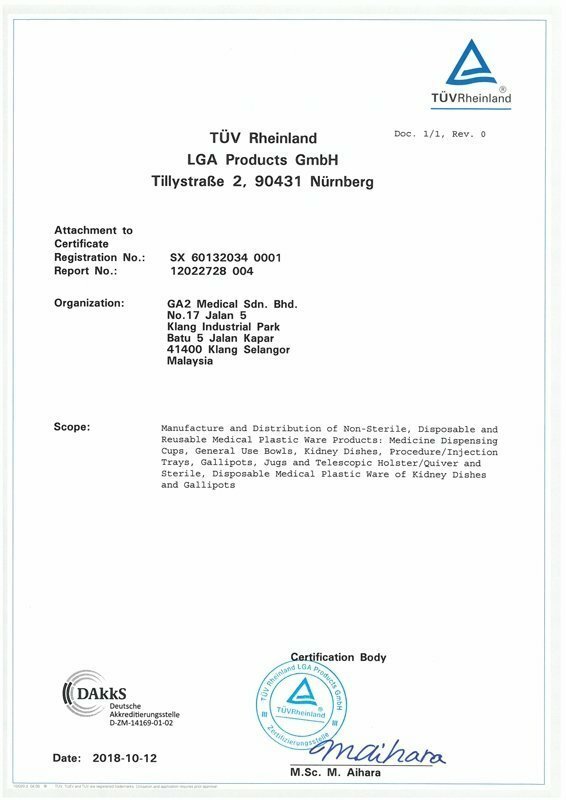 GA2 Medical is a registered company with the MDA. 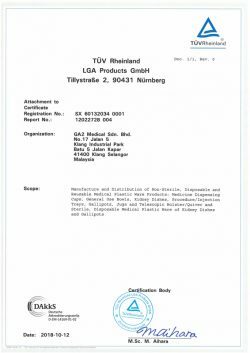 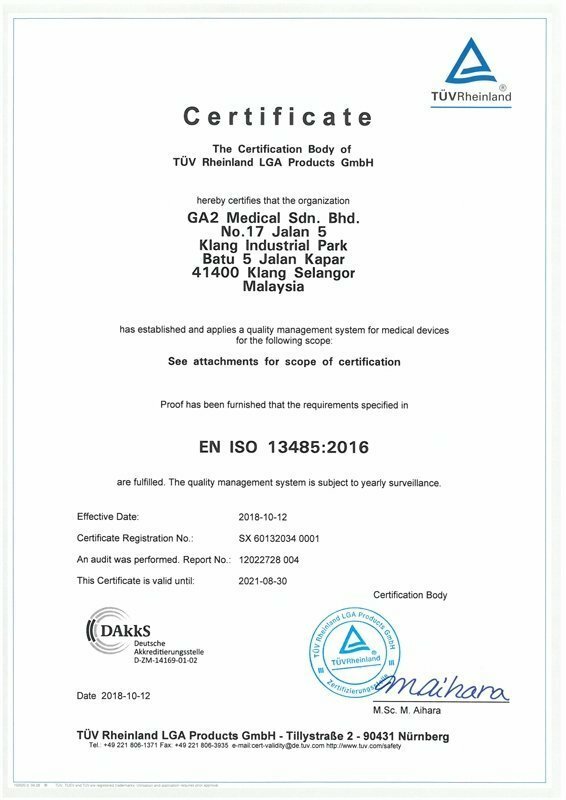 Our products are quality assured and CE marked for exporting to customers within the European Community through successful compliance to ISO 13485:2016 Quality Management System for Medical Devices by internationally recognised certification body TÜV Rheinland.